Contract Details: Youth League Contract 2016/17, 2 Year Contract Extension 19/5/17. Highlight: Scored his first goal for the Wanderers against Perth Glory in Round 13, Season 2018/19. 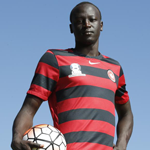 Description: Majok was born in a Kenyan refugee camp to South Sudanese parents, he made his way to Australia as a youth, where he began playing organised football. After stints with Spirit FC, he impressed the Wanderers in a friendly for Mt Druitt and was signed as a youth contract player. I like what I saw of him in the ACL and look forward to see him play more in the future. 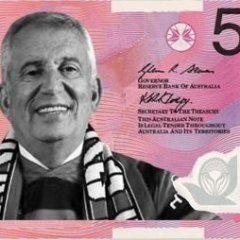 Saw this kid vs the Olyroos today. Very impressive! can't complain about his first touch with that goal. good effort by the kid. I know Abraham's family - his gran goes to our church and we were all off our feet when he scored last night - really thought he'd won it for us......soooo disappointing. Thought he had prob his best game for us so far - still the odd turnover and heavy touch but the finish for that goal was great! Yes, it was a nice first touch and good finish. But seriously, I could kick a ball to an elephant's back left foot and it would have a better first touch than Majok. The kid has a lot of work to do. In saying that, my pass to the elephants back left foot would probably be 10 metres wide of the mark or go over the sideline. Actually, I am pretty sure that he doesn't have a girlfriend. I still don't understand why people continue to bag out his first touch. It have been average at the start but I believe its vastly improved just like all his skills have throughout the season.